Semi-presidentialism – Can presidents influence coalition outcomes? This post is based on my article “’Why Can’t We Be Friends?’ The Coalition Potential of Presidents in Semi-Presidential Republics—Insights from Romania” in East European Politics and Societies. The research article published by East European Politics and Societies sought to investigate the basis of the power of presidents to shape coalitions in semi-presidential systems, using the case of Romania. The findings put forward by the article contribute to the weakening of the theory that semi-presidential systems are inherently affected by a process of growing presidentialization. Throughout my study of coalition governments more generally, the question about the potential systematic influence of presidents in their formation and evolution has often risen. To know who has the upper hand and the final say in the process of government formation is of chief importance to the students of political institutions. However, previous research on coalitions rarely addressed the topic related to the powers of the president, with recent findings claiming that in European democracies presidents have a substantial ability to induce their preferred governments. The case of Romania disputes these claims and shows that the mechanisms of a multiparty regime mostly limit the president’s exclusive bargaining advantage to nominating the prime minister and then, much as in a parliamentary democracy, render him or her dependent on the coalition potential of his or her own party. President Klaus Iohannis, prime minister Mihai Tudose and Liviu Dragnea, chairman of the dominant party in the coalition, the Social Democrat Party (PSD) (2017). Although a ‘friendly’ government is not always in the president’s cards, more often than not, he finds himself dancing to their tune. Nevertheless, an in-depth, qualitative investigation of the same case generated surprising insights by showing this outcome to be rather the exception than the rule and entails certain conditions to be met. Overall, the study shows that when the president and prime minister (or a plausible designate prime minister of a presidentially “unfriendly” majority) enter a competition to shape a coalition in this institutional format, they enter as equals. The weight of their supporting parties makes the difference in deciding the winner. Methodologically, the article supports the need for more in-depth qualitative study of such matters, mostly since there are insufficient accounts for the informal aspects of presidential authority in government formation. Ignoring such aspects, which we can only uncover through elite interviews, could lead to incomplete results. Although there are limitations linked to respondents’ subjectivity when asked about the direct involvement of the president in off-the-record negotiations for government formation, including accounts of first hand participants is a valuable addition to our understanding. The article relies heavily on semi-structured discussions with prime –ministers, ministers or important witnesses at sensitive moments linked to the role of the president in coalition formation. Firstly, the article makes a distinction between cases when coalition cabinets and presidents were in a situation of partnership (whether the president and the prime minister were from the same party or not) and cases of coalition cabinets and presidents in a situation of conflict (Table 1). It proceeds with a selection of a case where the president played an important role in government formation and could make use of his prerogative to name the prime minister from his loyal party, which thus became a formateur, and compared it with one where he could not (Romania has only had male presidents). The conditions to induce a preferred government are highlighted with the case of the 2004 parliamentary elections and the active involvement of president Traian Băsescu in government formation. In contrast, while maintaining the same actors and the same institutional design, the analysis goes on to show a different situation following the 2012 elections.Finally, it emphasises how, all things considered, the coalition appeal of the party behind the president makes the final difference in government formation, regardless of his or her exclusive prerogative to name the prime minister. The implications of this study go beyond uncovering the dynamics of coalition formation in Romania. The study shows that although a president could find within the semi-presidential system the institutional incentives to try to increase his or her influence in government formation, he or she remains firmly limited by the coalition potential of his or her party, regardless of context-driven peaks of increased informal authority. It also argues that in choosing cases for a comparative analysis of coalition formation and administration, there is reason to go beyond a differentiation between semi-presidential and parliamentary regimes. This entry was posted in Europe, New publications, Romania, Semi-presidentialism and tagged coalition government, prime ministerial appointment, qualitative research, Romania, semi-presidentialism on October 31, 2017 by Veronica Anghel. Saskia P. Ruth – Do populist presidents always pose a threat to liberal democratic institutions? This is a guest post by Saskia P. Ruth at the Department of Political Science, University of Zurich. It is based on her recent article recent paper in Political Studies, ‘Populism and the Erosion of Horizontal Accountability in Latin America’. Her webpage is here. In my article “Populism and the Erosion of Horizontal Accountability in Latin America” I explore which factors enable or hinder populist presidents in Latin America to pursue a radical strategy of institutional change to erode horizontal checks and balances in their respective countries. Prominent examples in Latin America that increased the power of the executive vis-à-vis the legislative branch are Evo Morales in Bolivia and Hugo Chávez in Venezuela. But are populists in power always as consequential to democracy as these prominent cases imply? Looking at other populist presidents in Latin America, we can also find examples where the threat to liberal democracy did not materialize, like Alan Garcia in Peru or Fernando Collor de Mello in Brazil. While comparative research is important to unpack the ambiguous relationship between populism and (liberal) democracy highlighting how populist governments differ from non-populist governments, I focus on the systematic analysis of the conditions under which populists in power pose a threat to democracy or not. Only if we know when and how populists engage in eroding liberal democratic institutions, can we begin to design strategies to countervail their impact. To answer this question, I take an actor-centred approach focusing on specific constellations in the political arena that shape populist presidents’ incentives and their ability to engage in institutional change. Following the minimalist ideational approach towards populism (see Hawkins and Rovira Kaltwasser forthcoming) – I argue that the antagonistic nature and the moralistic style of a populist discourse are often directed against liberal democracy, which is based on political pluralism and the constitutional protection of minorities. This inherent tension between populism and liberalism is the reason why populists are perceived as a threat to democracy itself (see Mudde and Rovira Kaltwasser 2012). More specifically, especially in presidential systems, like those in Latin America, populist ideas clash with one core principle of liberal constitutionalism, namely horizontal accountability (here defined narrowly as executive-legislative checks and balances). I argue that the rise of populism to power opens a unique window of opportunity for institutional change, but that the success of populist presidents to increase the power of the executive to their advantage depends on the potential power of other political actors to defend the status quo. 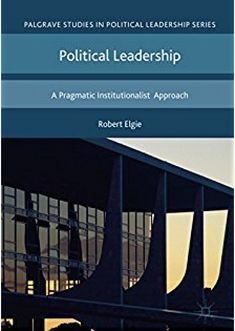 I identify three conditions that constitute the political opportunity structure of institutional change, and thereby, either condition the incentive or the capability of populist presidents to erode horizontal accountability. These conditions are: First, the absence of unified government between the executive and the legislature, second, the existence of a ‘power vacuum’ in the political arena, and third, high public support in favour of the president. These hypotheses are then tested by means of a Qualitative Comparative Analysis (QCA) which is specifically suited for research designs with a low- or medium number of cases (Ragin 1987). Therefore, I compiled an original dataset covering all populist presidents elected under democratic rule in Latin America from 1979 until 2014. To identify presidents deploying a populist discourse in their electoral campaign I proceeded in two steps: First, using the ideational definition of populism as a benchmark I conducted an intensive literature review. Second, to validate this coding the dataset was sent to several experts in the field to benefit from their expertise. This led to the inclusion of the following 16 presidents in the analysis: Carlos Menem and Néstor Kirchner in Argentina; Evo Morales in Bolivia; Fernando Collor de Mello in Brazil; Hipólito Mejía in the Dominican Republic; Jaime Roldós, Abdalá Bucaram, Lucio Gutiérrez, as well as Rafael Correa in Ecuador; Daniel Ortega in Nicaragua; Mireya Moscoso in Panama; Alan García (both in the 1980s and in the 2000s) and Alberto Fujimori in Peru; as well as Rafael Caldera and Hugo Chávez in Venezuela. As to the results – the QCA identified a complex causal path towards the erosion of horizontal accountability, indicating that successful populist presidents had strong incentives to undermine the power of opposing traditional elites if they fell short of a supporting majority in Congress. However, they were only capable to do so if they were able to exploit the bad reputation of traditional elites and at the same time uphold high popular support levels in favour of their agenda of institutional change. Among the five cases that are covered by this causal path are some of the most prominent populist presidents in the region: Hugo Chávez, Rafael Correa, Alberto Fujimori, Carlos Menem, and Evo Morales. Moreover, the analysis also enabled me to investigate factors that might hinder populists to successfully engage in the depletion of liberal democratic institutions. For one, the analysis highlights the importance of party systems with stable social roots as safeguards against radical institutional change. If populists come to power as candidates of traditional parties, their own party organization may keep them from inducing institutional change processes. Moreover, the analysis also highlights a combined impact of non-unified government and low levels of popular support on the absence of institutional depletion by populist presidents. This substantiates Hochstetler’s plea (2006) not to underestimate the power of the public in executive-legislative conflicts. Popular mobilization is a crucial factor with respect to populist presidents’ success in restructuring liberal democracy. While these results are a first step to uncover different political opportunity structures that may increase or tame the threat of populism to democracy, further research needs to be done. For example, this study only highlights the effect of populism on executive-checks and balances, while other institutions of horizontal accountability, like the role of the judiciary or other independent state agencies have been excluded. Moreover, with populist candidates globally on the rise it is impervious to identify when and how populist engage in illiberal behaviour and how to countervail their intentions to destabilize liberal democracy beyond the Latin American region. The results of this study may travel to other regions in the world, most likely, to other presidential systems like the USA or semi-presidential systems like France. Hawkins, Kirk, and Cristóbal Rovira Kaltwasser. forthcoming. “The Ideational Approach to Populism.” Latin American Research Review. Hochstetler, Kathryn. 2006. “Rethinking Presidentialism: Challenges and Presidential Falls in South America.” Comparative Politics 38 (4):401-418. Mudde, Cas, and Cristóbal Rovira Kaltwasser, eds. 2012. Populism in Europe and the Americas. Threat or Corrective for Democracy? Cambridge: Cambridge University Press. Ragin, Charles. 1987. The Comparative Method: Moving Beyond Qualitative and Quantitative Strategies. Berkeley: University of California Press. Experts have been selected based on their publication record as well as their comparative knowledge of populism in Latin America. The survey has been sent to six experts of whom three – Kirk Hawkins, Steven Levitsky and Carlos de la Torre – responded with their evaluations of the case selection. This entry was posted in Presidentialism and tagged presidentialism on October 30, 2017 by Robert Elgie. The question of “will he need a runoff vote” was at the center of most news outlets’ attention prior to the presidential election in Slovenia in October 2017. He, the incumbent Borut Pahor, has been president since 2012 and was campaigning for re-election. Various polls suggested that he would already win the necessary absolute majority in the first round of the election. But Pahor fell short and won ‘only’ 47.1 percent with a low voter turnout of 43.5 percent. This now makes a second round of presidential elections in November necessary and thus gives his strongest contester Marjan Šarec a new chance to succeed. This election provides also “a large scale public opinion poll as well as a prequel to the parliamentary elections” (Bitenc 2017) – considering the results – a bleak outlook for the government. This post will focus on the two main candidates and their campaigns, describe the election results and discuss the chances for the two candidates to become the president in the run-off ballot. During the first round of the presidential election a total of nine candidates ran for the office of Slovenian President (State Election Commission 2017). Presidential candidates are put forward by National Assembly deputies, political parties and the electorate. More precisely, according to the provisions of the Election Law of Slovenia, a candidate is required to fulfill at least one of the following requirements to be able to run: the support of either ten deputies; the support of at least one political party and three members of parliament (or the signatures of 3000 votes); or the signatures of 5000 voters (State Election Commission 2017). Most of the nine candidates were backed by parliamentary parties, among them Romana Tomc by the conservatives and Ljudmila Novak by the New Slovenia Christian-Democrats (Zerdin 2017). Throughout the campaign the incumbent Borut Pahor and Marjan Šarec, the mayor of Kamnik (a town north of Ljubljana) were the two main contestants. Both candidates label themselves as more or less anti-parliamentary/establishment party politicians. This is a characterization that is particularly misleading for Borut Pahor. Already during the 2012 presidential campaign Pahor ran on an anti-establishment party platform, although he used to head the Slovenian government (until only a few months before the presidential election in 2012) and was chairman of the Social Democrats. During the 2017 campaign he ran again as independent and for example used the campaign to walk 700 km throughout Slovenia in an attempt to get to know local people (Novak 2017). Marjan Šarec, who won 25% of votes during the first round, ran on the so-called List of Marjan Šarec. Both during the campaign but also now heading towards the runoff vote, Šarec pledged to provide change and to nominate a new generation of people for official posts. He also criticized Pahor for being rather a celebrity than a statesman (news outlets describe Pahor as instragram president due to his avid use of the application). This campaign issues have to be described within the context of the constitutional provisions concerning the Slovenian President. The 1991 constitution provides only a limited amount of constitutional power to the president. But presidents have established a – at times – powerful role in politics and are expected to fulfill a role of a non-partisan leader. As described in an earlier blog post, the Slovenian President is directly elected with an absolute majority in the first round (Art. 103). Slovenian Presidents do not participate in cabinet meetings, they hardly have any competences for times of crisis, yet a countersignature – e.g. by the prime minister – is not stipulated in the constitution. Without competences in the legislative process (no legislative veto and no legislative initiative; Art. 91 and 88), the president gains power mainly through the nomination and appointment procedure for the prime minister. In addition, “[…] in Slovenia the presidency depends very much on the charisma, political style and ambitions of the person holding the office” (Krašovev and Lajh 2008, 217; see also Cerar 1999). Thus, Slovenia has provided us with both restrained but also very active presidential leadership. Despite some instances that Borut Pahor is a representative of the latter type, with the end of his first term as president, it is safe to say that he was most of the times restrained and not involved in decisive political decisions. In the second round, Pahor is certainly the favorite, but the runoff will attract voters from different backgrounds for Šarec and he might be in for a surprise. It will not be unusual for the incumbent to serve only one term, Danilo Türk was the incumbent in 2012 and lost against Pahor in the runoff vote, and Janez Drnovšek decided to not run for a second term in 2007. Cerar, Miro. 1999. “Slovenia.” In Semi-Presidentialism in Europe, edited by Robert Elgie, 232–59. Krašovec, Alenka, and Damjan Lajh. 2008. “Semi-presidentialism in Slovenia.” In Elgie and Moestrup, Semi-presidentialism in Central and Eastern Europe, 201–18. Lukšič, Igor. 2010. “Das politische System Sloweniens.” In Die politischen Systeme Osteuropas, edited by Wolfgang Ismayr, 729-772. This entry was posted in Europe, Slovenia and tagged presidential election, Slovenia on October 25, 2017 by Robert Elgie.